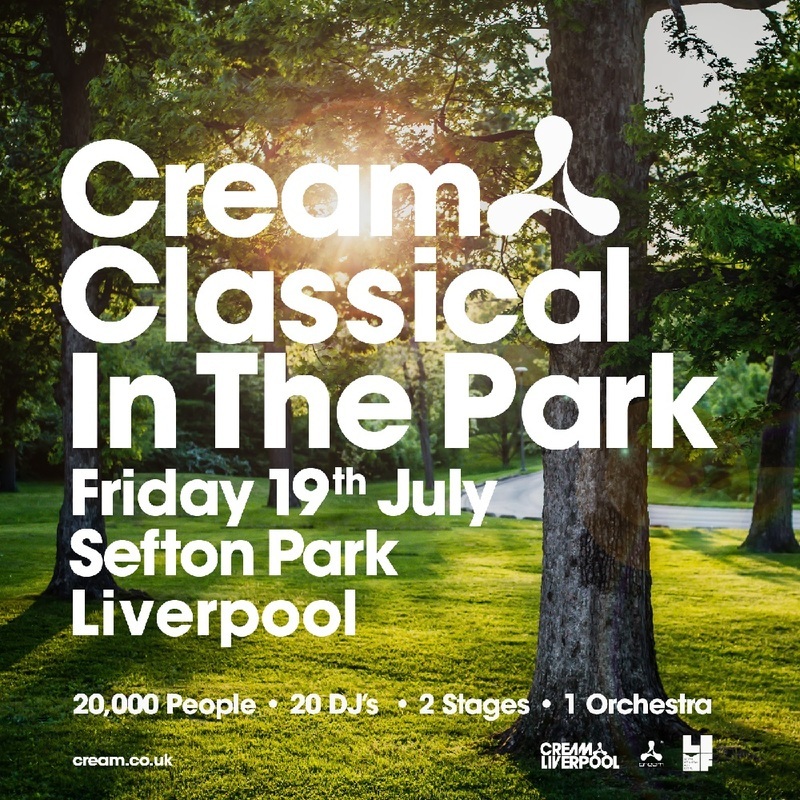 20,000 revellers are invited to see the Cream Classical concept at Liverpool’s Sefton Park on Friday, July 19th. Cream Classical In The Park follows up the shows at Liverpool Cathedral and brings together the 50-piece Kaleidoscope Orchestra to perform the legendary club’s biggest tracks. Bringing the orchestra, performers and vocalists together for a new show, ‘Cream Classical In The Park’ will also see 20 of the DJs who have been part of the Cream family over the last 25 years play across two stages. The full line-up will be announced soon. Pre-sale tickets will be available from 9am on Friday, February 22nd. General tickets go on sale from 10am on Friday, February 22nd. Sign up for the pre-sale atcream.co.uk/classical.